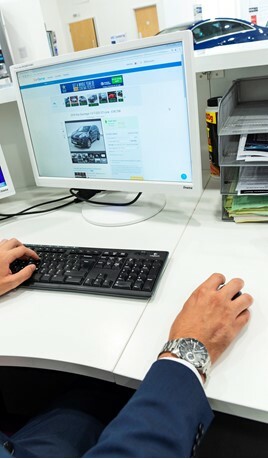 Dragon2000 has warned its car dealer clients and their customers against being targeted with phishing and email scams as problems increase. Recent research reveals the scale of the problem, with one in five Brits falling foul of phishing emails after clicking on malicious links which downloads malware onto their computers, or sharing their personal information. A survey of 1,000 British consumers by security firm DomainTools, November 2018 revealed the extent of the issue, which sees consumers duped into thinking they were interacting with trusted, well known brands. There have been many cases where through computer malware, scammers are then able to intercept, read and change emails, specifically targeting those containing invoices and payment details, according to Dragon2000. The genuine bank details are then substituted, leading to the customer paying large sums to a scammer’s bank account instead of the company they thought they were paying. Banks won’t reimburse the funds as they see it as a mistake on the customer’s part, as they made the transfer themselves, and by the time it is identified as fraud, the money has been moved or withdrawn from the scammers account. According to Dragon2000, this type of scam started to hit the headlines a few years ago with emails between customers and solicitors and builders being targeted, due to high value invoices involved in house sales and building work. More recently, they are hearing of dealers’ customers being targeted too, as vehicle purchases often involve large deposit and balance payments. “It is good practice for dealers to avoid emailing their customers with bank details to pay deposits or balance payments for vehicles – instead they should make a phone call to make sure the customer has their genuine details before they make a bank transfer,” said Kelland. “Customers will definitely appreciate the security steps they are taking and this can help build their trust with the dealership. “Equally, if a car dealer or garage business receives an email asking for payment with bank details included, even if it is a supplier they recognise, it is sensible to check the details with them – a quick call could save dealers from a costly mistake. “Not all scam emails are caught in dealers’ email system spam filters, so they should make sure all their staff are aware of how to spot them.